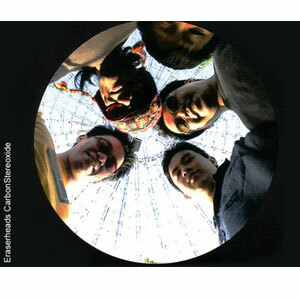 Years after their bitter fallout, Ely Buendia, Marcus Adoro,Buddy Zabala and Raimund Marasigan—collectively known as the Eraserheads—willshare one stage again for a one night reunion concert slated on August 30,2008. After weeks ofspeculation, it was finally confirmed that the legendary OPM rock band theEraserheads will reunite for a one-night concert to be held at the CCP OpenGrounds on August 30, 2008. The band, composedof Ely Buendia, Buddy Zabala, Marcus Adoro, and Raimund Marasigan, were highlyresponsible for the resurgence of Pinoy rock music in the '90s. Armed withcatchy hooks, street-smart lyrics, and uncanny pop sensibilities, theEraserheads rose to critical and commercial prominence and was dubbed as thecountry's own version of The Beatles—a tag the quartet simultaneously scoffedat and cherished during their phenomenal reign. Strainedrelationship among the band members unfortunately led the group to disbandfollowing frontman Ely Buendia's departure in 2002. Ely's resignation wasrelayed through his bandmates only through a text message citing the words, "It'sgraduation time." LONG AND WINDING ROAD. Years after the band called it quits, the Eraserheads legacy grewexponentially with various tributes and accolades being accorded to the groupthrough various art and pop culture media. At the same time, fans clamor forthe band members to reunite grew steadily particularly after Ely survived aheart attack early last year. Still, and despiteall the noise created by old and new fans, the reality of a reunion was stillremote. Even Buendia's near brush with mortality seem to do nothing to softenthe singer-songwriter's firm resolve. Some clues, however,seem to suggest that a reunion may finally happen earlier than expected. Lastyear, July 26, a special event dubbed as Eraser X was held at Saguijo Café inMakati featuring Raimund Marasigan and Buddy Zabala complemented by fellowmusician friends playing an all Eraserheads set list. A few months earlier, Raimundand Buddy together with former guitarist Marcus Adoro graced the book launchingof Tikman ang Langit: An Anthology on theEraserheads at Powerbooks in Greenbelt, Makati City. Ely opted to skip bothevents citing prior commitments as the culprit for his absences. Many, ofcourse, believed that the enigmatic frontman was simply making an excuse so asnot to offend the fans who were anxiously hoping for a reunion through anymeans possible. Interestingly,Marcus, backed up by a band he wittingly named Markus Highway came out with an album under Warner MusicPhilippines. In an interview with PEP (Philippine Entertainment Portal) monthsbefore the launching of his new record, Marcus shared his desire to play or atleast tour with his former bandmates new bands. He also said that hisrelationship with the three ex-members was okay and amicable. But still, the bigdifference remains to be Ely Buendia. As evasive as he is when it comes toanswering nagging questions about his glorious past as the main creative forceof the "most influential" OPM band of all time, many observers took note thatBuendia's current band, Pupil, was incorporating Eraserheads songs quite morefrequently this year as compared to last year. There was even this rumor sayingthat Ely conducted a "secret gig" somewhere where he did a straight-out allEraserheads number. The rumor was neither conformed nor denied by Ely's camp. FORMING THE PUZZLE. For some time, cyberspace was inundated with news of an Eraserheadsreunion. Recently, a blog site gradually showed sketchy little clues until itfinally led to an inverted capital "E" image with the script "83008" writtenunder the image. The figures, as it turned out, means August 30, 2008—theofficial date of the Eraserheads reunion concert after six years of not playingmusic together. According to thereports, the four were swayed to once again play together after a "big company"tendered a huge offer. "Each member is said to be receiving a rather largesum—with estimates ranging from P2.5 million to P10 million apiece—in order to pulltogether for a 45 minute set," wrote music insider Jim Ayson at PhilMusic.com. Last Friday, July11, during the launching of Pedicab's second record at the Cubao Expo,words were flying that the company sponsoring the historic event is a"telecommunications" company. However, it was later revealed that a tobaccocompany—"quite possibly Marlboro," wrote Jim—was the brain behind the concert. NOT REUNITING FOR GOOD. In a telephone interview with someone from Ely's camp, a source didmention that huge money was indeed involved though she downplayed the amountgiven by some of PEP's initial sources. According to oursource, the band, Ely in particular, relented because of the undying clamorpressed by the fans and not largely because of the money. "Maybe it's a goodway to finally close the chapter," our source, who requested anonymity, shared. "The call for areunion concert has been going on for a long time ever since they [Eraserheads]disbanded. Somehow this is bound to happen; it's just a matter kung kailan andwho's going to sponsor. This is for all the fans and to celebrate na din theE-heads legacy. It'll be exciting and we're hoping that everybody would have agreat time during the concert. Mas maganda nga sana kung nandoon lahat nginvolved sa history ng band like the former managers." Our source thoughstressed that the band won't re-form and that the concert is strictly a one dayaffair. Asked about the band members current relationship, she said that it isstill the same although, "We'll see as this thing go along. I'm not really sureabout Ely's feelings at this point. But his relationship with the two [Buddyand Marcus] was okay naman even before the reunion talks." Again, we excitedlyasked the possibility of the band reuniting for good. Perhaps the concert mayfinally lead the members to iron out their differences for good after seeingthe amount of love and adulation they still enjoy from fans and fellow artists. Pausing a little,our source heaved a sigh before saying, "I don't know. Honestly, I don't thinkthat hugs and kisses would be exchanged during and after the concert. Butstill, who knows... at this point everything is still pretty much up in the air."